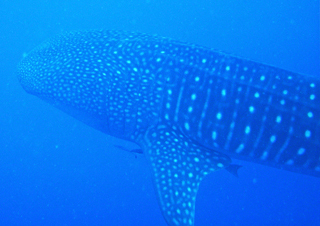 The dive destination of Placencia is famous for its regular Whale shark sightings at Gladden Spit. Whether your visit is during the Whale shark season, or another time, our staff can conduct this specialty so you have a better understanding of these gentle creatures and their feeding behaviour. Our staff are official guides and have an intimate understanding of the Whale sharks of Belize and will enhance this specialty with their experience and knowledgeable. This specialty from PADI's Project Aware is actually a non-diving specialty so it is open to anyone of any age, whether a diver or not. However for certified scuba divers we can include an optional Whale shark trip to Gladden Spit at the right time of year, to supplement this course, so what we taught you in the class presentation, you can identify on one of our scuba diving or snorkeling trips to see the Whale sharks at Gladden Spit, near Placencia Belize. There's no better resort destination in the whole of Belize to increase your chances of a Whale shark encounter and we can integrate this specialty course with our fun diving packages as well. This specialty integrates well with the PADI Fish Identification, Naturalist and Digital Photography courses.